I saw a small flock of shorebirds near beach #6 on an otherwise quiet afternoon trip to Parker River National Wildlife Refuge. But as I was working my way back up the island I came across a cluster of photographers gathered along the side of the road. As I slowly approached it was easy to see why such a gathering had formed, this beautiful barred owl was perched in clear view at the edge of the forest. 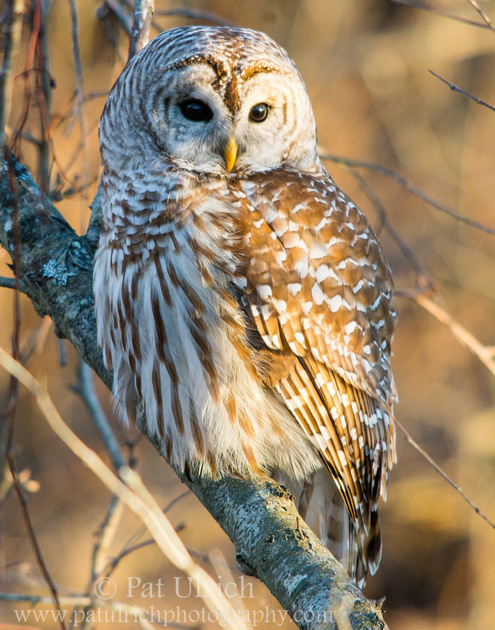 View more photographs of owls and other birds of prey.